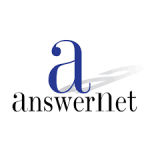 AnswerNet is a virtual receptionist and telephone answering service provider. Its features include live agent answering, customized message templates, toll-free phone numbers, and more. In this article, we covered user reviews and pricing. Ready to get started with AnswerNet? Contact their support team for more information. As of the date this article was written (10/24/18), there are no up-to-date positive reviews of AnswerNet available online. If you are a past or current AnswerNet customer, leave a review to help other business owners who are deciding whether or not to use the company. Users who gave AnswerNet a negative review reported that official calls weren’t handled professionally as there were long call holds/gaps in between. Some of them also noticed inaccuracies with the call reports. AnswerNet doesn’t publish its pricing plans on the website. However, according to the company’s FAQ, users can expect to spend around $167+/month for their services. Ready to get started with AnswerNet? Contact their support team for more information. Best Answering Service – Ruby Receptionists vs. VoiceNation vs. MAP Communications In this guide, we identified the key features of several popular answering service providers. Read on for our comparison and review of the available services, as well as our top recommendations. Can AnswerNet guarantee uninterrupted telephone answering services? Yes. AnswerNet’s telephone answering services are connected to a network of more than 25 integrated call centers. These facilities are equipped with disaster backup and call re-routing capabilities to ensure that all calls are answered at all times. What types of industries can benefit from AnswerNet? 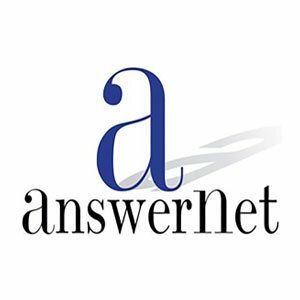 AnswerNet is used by a wide range of industries including financial, government, insurance, legal, medical, retail, real estate, pharmaceutical, and more. Not sure if AnswerNet is the right fit for you? Read our reviews of all top answering service providers or check out one of these three AnswerNet competitors. Call reports are useless, the emails they take from the customer are wrong and cannot be used to contact customers. Calls can go for up to 20min when they were on average 3 to 5min calls and reports to 20-min call are of one or two words. Some calls don’t even have report included. Some calls are double counted. It is better to hire your own agent that works full time rather than using this call center. Invoices with answernet increase every month and they have the worst customer service when you try to understand where the extra minutes come from. What’s the Best Answering Service? What's the Best Answering Service?